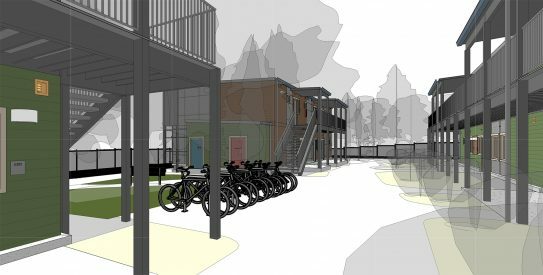 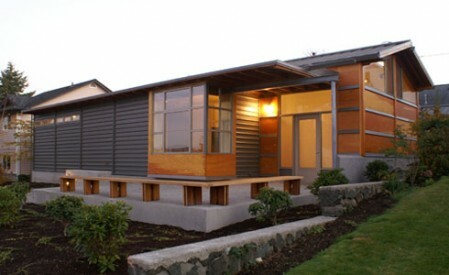 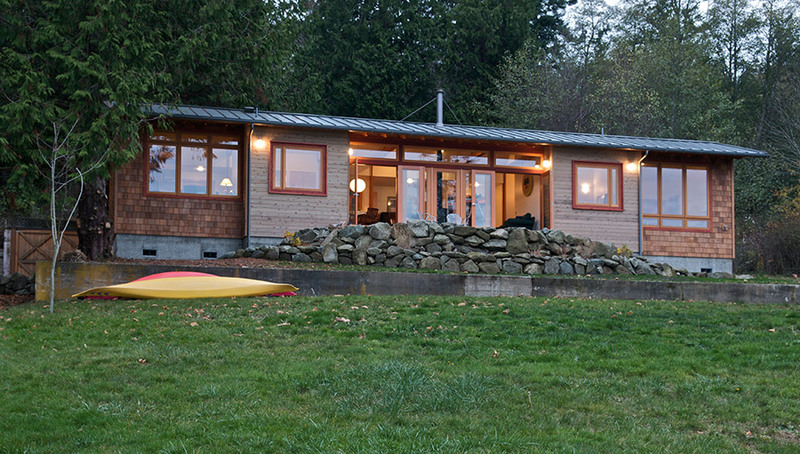 The new 1100 SF summer house is located on the northeast side of Guemes Island. 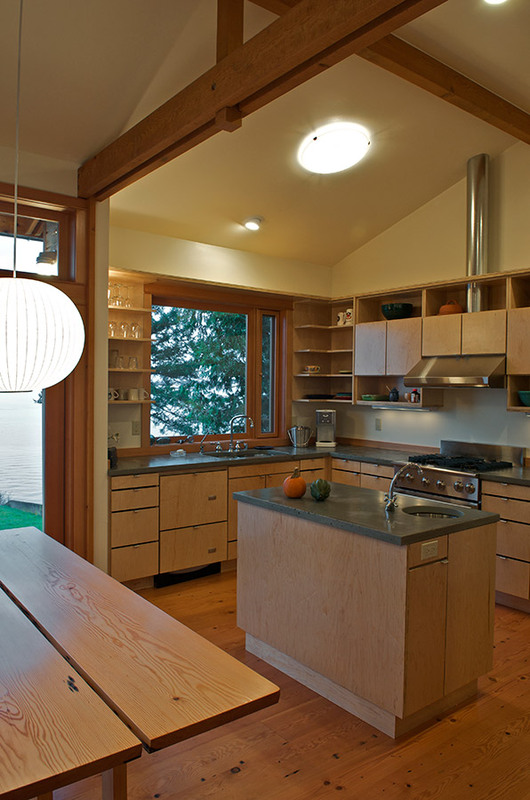 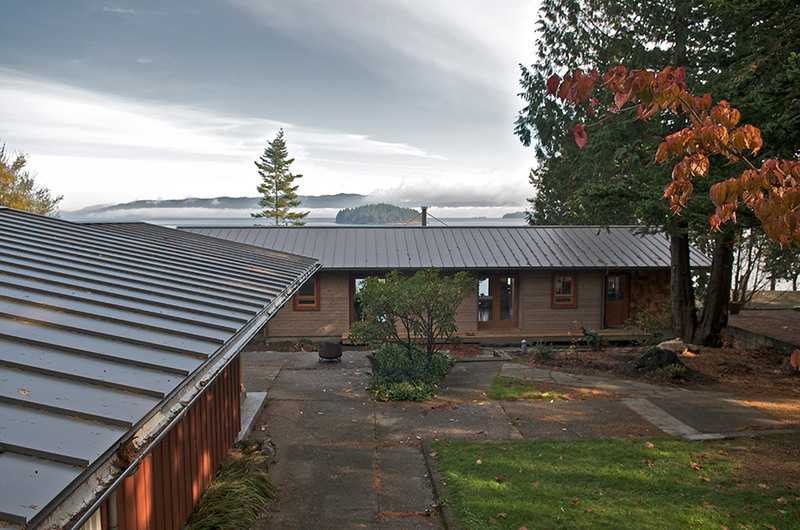 The house is sited to provide privacy and views of Bellingham Bay on the water side and entry court spaces connecting the existing cabin on the road side. 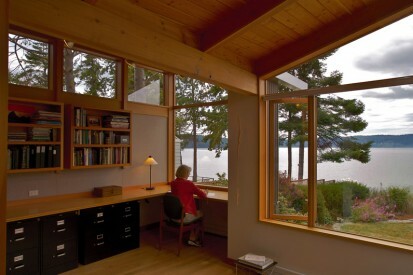 The new cabin sits low on the site to allow views of the bay from Guemes Island Road. 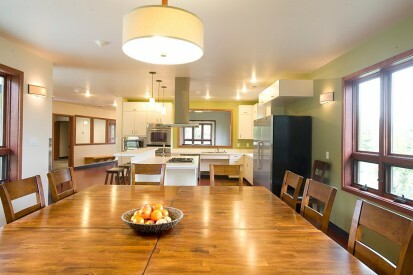 The rectangular floor plan has a central open space for living, dining and cooking, flanked by a study and vanity bath at the south end and a bedroom and bathroom at the north end. 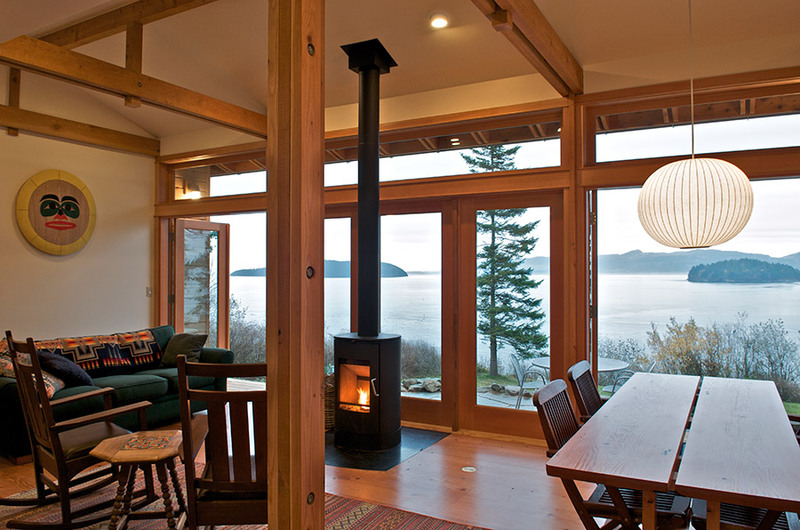 Projected bays defined by timber truss framing provide added space for the piano, kitchen, bathroom and utility spaces. 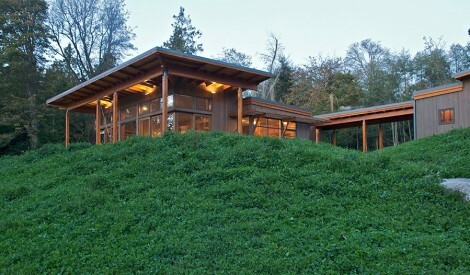 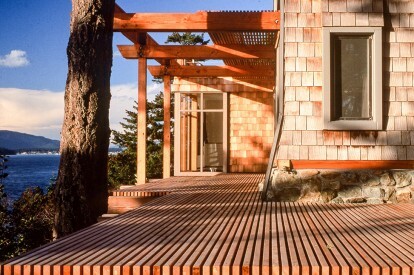 The ridge is offset to allow for greater views and light on the water side. 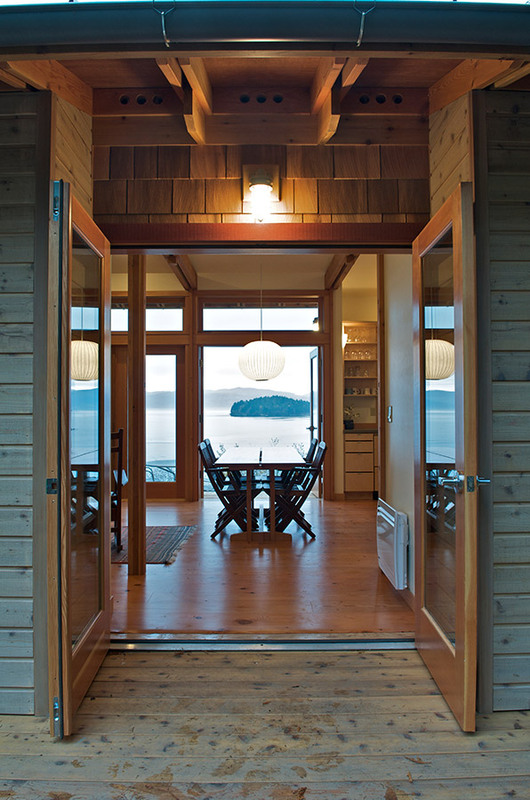 French doors open onto decks and terraces on both sides of the house dissolving the boundaries between nature and the interior. 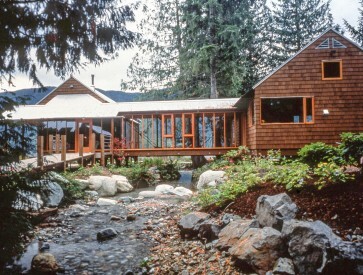 Materials include FSC framing lumber, salvaged fir flooring and timber framing, cedar shingles and siding, fir windows, doors and metal roofs. 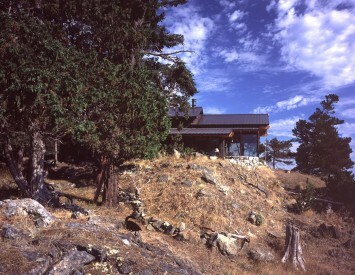 The terrace is made of flagstone with Chuckanut sandstone retaining walls.